You can use your Brother HL-2070N for a whole range of tasks with ease as you know your HL-2070N will work quietly and efficiently, involving no trouble whatsoever. The Brother HL2070N is capable of producing up to 20 pages per minute, allowing you to create entire documents extremely fast. Constant use of the Brother HL 2070N is completely assured but Brother HL-2070N cartridges such as the black Brother HL-2070N toner cartridge need to be replaced on a regular basis-and you may not have enough money to constantly buy new Brother HL-2070N toner. You can compare leading Brother HL2070N toner cartridge prices to find the best deal or you can come to CartridgeSAVE to save on your Brother HL-2070N cartridges. We guarantee you’ll be able to find the HL2070N toner cartridge you need-and we sell the Brother HL-2070N cartridge at incredibly cheap prices so try us for your entire discount Brother HL2070N toner needs! The Brother HL-2070N toner cartridge comes with an array of great services, allowing you to get the Brother HL2070N cartridge as quickly and conveniently as possible. Arriving with free delivery, the Brother HL 2070N toner is sent off quickly and efficiently so you know that you’ll get the Brother HL-2070N cartridge without any inconvenience. Every Brother HL-2070N cartridge comes with a straightforward 30 day money back guarantee so that you know for sure you’ll get a great quality HL 2070N toner cartridge no matter what. We ensure that your Brother HL-2070N toner ordering experience is as pleasant as possible so that you can continue using your Brother HL 2070N with confidence. This modern-looking, compact printer is designed to take care of your basic office printing needs, and then some. In black and white mode, it can print up to twenty pages per minute, above average for a printer in this price range. It connects seamlessly into your network via USB or ethernet, and it will meet the needs of a small business with no problem whatsoever. On top of this, it boasts a toner cartridge which will be inexpensive to replace. 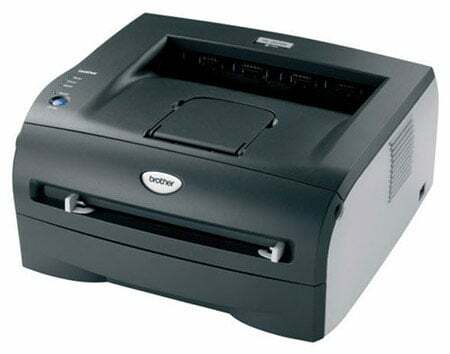 This machine is designed as a work group printer, with a paper tray that holds 250 sheets, a quick and reliable print speed, and three fonts including 49.0 scalable, 12.0 barcode, and 11.0 bitmapped. It runs on a Fujitsu SPARClite processor at 133.0 MHz. It is versatile enough to work with several different types of paper, as well as envelopes of different sizes. Because it's a network printer, you can set it up anywhere in your office that has a network cable. It tends to make quite a bit of noise when printing, so it may be advantageous to put it somewhere off the beaten path if this is a nuisance. The Brother HL-2070N installs easily enough, and the fast printing speed makes it appealing to those who want to increase productivity and reduce the amount of time spent waiting on the printer. Brother HL-2070N toner cartridges are inexpensive to replace, but they will need to be replaced with some frequency due to this printer's inherent lack of conservancy in its use of toner. It's a compact printer with a fast print speed that produces quality results, but it's noisy. This may be a turn-off to some people, but this can be easily resolved on a shared network by putting it someplace else where people aren't working. The toner cartridges are easy and cheap to replace, but this printer goes through ink in a hurry, so this is something to watch out for if you're budget-conscientious.